UMES was first officially recognized in 1909 and since then has developed a rich history. Please read on to learn more about the history of UMES. The Red Lion was sketched for the first time on the afternoon of August 17, 1977 by a young undergraduate Geological Engineering student and Yearbook Editor named John Weston. Later that year, Weston was asked by the UMES Publications director to proofread the first year student handbook. The Publications director had also forgotten to do the cover art for the handbook and was out of Winnipeg at the time, making it impossible for him to return for the printing deadline. Weston was therefore asked to create the cover for the handbook and decided to use the lion he had sketched earlier that year. At this point however, it was actually a brown lion, and had no official colour. During that same year, the Faculty of Engineering was in a battle for funding with the University Administration, putting it in dire threat of losing accreditation. Dean Wedepohl, who was leading Engineering in the funding battle, borrowed the newly minted lion logo from the students to serve as a rallying symbol. The student body at this time was also very vocal in the funding fight and had in fact changed the lion’s colour to the red we know today. Red was chosen for its bright colour and symbolized the “red tape” the Faculty was facing at the time. In March of that year, the students and staff of Engineering celebrated victory in their funding battle. They painted the “Red Lion” on two large wooden signs, erected those signs in the Quadrangle facing the Administration Building, and held a large snowball fight. The idea for this came from the expression “If March comes in like a lamb, then it will go out like a Lion”. This event marked the turning point when the Red Lion ceased to be recognized as “that-thing-those-two-guys-drew-all-the- time-during-the-funding-fight” and became identified as the mascot of Engineering students at the University of Manitoba. Since its inception, the Red Lion has gone through various versions before arriving in its current form donning a hardhat, t-square and beer mug. In the fall of 1992, a poll of Engineering students was held and Red Lion was given its name, “Phil”. Today the Red Lion has become recognized both on Campus and across Canada as a symbol of the pride and determination of University of Manitoba Engineering students. Since the inception of the University of Manitoba Engineering Society (UMES) in 1909, the President of UMES has traditionally been known as the Senior Stick, and each spring has been marked by the passing of the ceremonial Stick-Of-Office from the outgoing Senior Stick to the incoming Senior Stick. At the end of each term of office the outgoing Senior Stick's name is engraved on a silver band and placed on the Stick-of-Office. The Stick-Of-Office has an interesting history that, until recently, has never been widely known. The concept for the Stick was brought to the Engineering Society, and indeed to the entire University, by Professor E.E. Brydon-Jack when he was named the University's first professor of Engineering in 1906. Professor Brydon-Jack learned about the Stick-Of-Office tradition while visiting Dimbleby College in Portmeirion, Wales. The money was not available to commission the first Stick-Of-Office until 1927, and at that time the names of the previous Senior Sticks were included retroactively. In 1987, the first Stick-Of-Office had no room for additional names, and the former Senior Sticks were canvassed in order to finance the cost of commissioning a new one. The former Senior Sticks were so generous that enough money was left over to construct a display case as a gift to the University. Both the 1927 and 1988 Sticks have very interesting and symbolic elements to their designs. The beaver on the very top of the crown of both the 1927 and 1988 Sticks was a traditional symbol of the army Corps of Engineers in Canada, and is sitting on a stylized sun, a source of life in ancient mythology. The 1927 stick was known for years for its distinctive rattle caused by something loose in the crown. This led to rumours that the Stick itself was a miniature time capsule and that a secret was held within. It wasn't until the 1988 Stick was commissioned that the secret was discovered - the rattle was caused by a loose chip of diamond that had been enclosed in the crown of the Stick since 1927. Also, inscribed on the inside of the silver crown, hidden from view, is the secret phrase that is repeated annually by the outgoing Senior Stick to the incoming Senior Stick. The 1988 Stick also has this phrase inscribed on its inside and contains a small diamond. When the 1927 Stick was commissioned the Faculty of Engineering also encompassed Architecture, and for this reason it says Faculty of Engineering and Architecture on it. 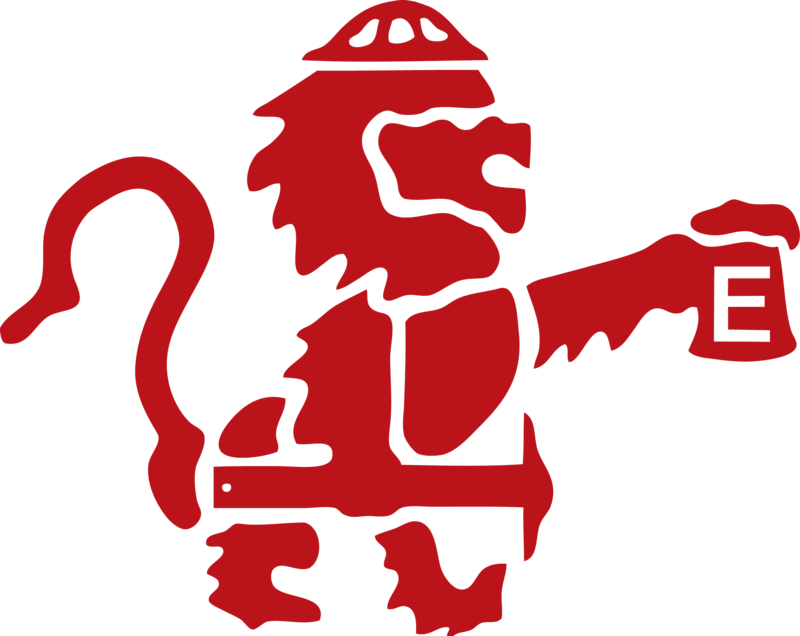 The red and white circular logo is the traditional symbol of the Engineering Society, and it is joined on the 1988 Stick by the Red Lion, a more recent logo of the Society. Intriguingly enough, the circular pin on the 1988 Stick was actually found at a garage sale in 1987 by a student who recognized it as the UMES emblem; when the students charged with procuring the 1988 Stick noticed what their friend was wearing on his lapel they swiftly and efficiently stole it to be included on the new Stick-Of-Office. The silversmith who crafted the new Stick ascertained that the old pin was actually older than the 1927 Stick; faintly engraved at the bottom of the pin was the inscription "1912" which was obscured when the pin was cleaned before mounting. In this way part of the old tradition of the Faculty was recognized in the creation of the new Stick. The story behind the Iron Ring, which all graduate engineers wear on the pinky finger of their working hand, dates back to the turn of 20th Century. It began at what is still the largest cantilever bridge in the world, the Quebec Bridge over the St. Laurence River. This bridge collapsed twice, the first time in August 1907 killing 86 workers and then again in September 1916 killing eleven. Grave errors in the work of engineers was determined to be the cause of failure in both fatal incidents. In 1917, an identical span was carefully hoisted into place and eventually opened to traffic. The Quebec Bridge remains a physical reminder to Canadian engineers of the tragic cost of human error in engineering work. The University of Manitoba Engineering Symonized Marching Band was formed in the mid-1950's by a group of Engineering students who felt that spirit in the University was quite lacking. Originally consisting of an array of brass instruments and a mild-mannered percussion section, the band grew in size and grandeur. Their first performance, originally planned as a march around the Legislative Building, ended with a quite unplanned visit to Government House to perform for the Queen who was then visiting Manitoba. Her Majesty, duly impressed with the outstanding performance of these fine musicians, knighted the entire Band on the spot. With this honour bestowed upon them, the Band set out to inform Canadians of the presence of the University of Manitoba. In the following 20 years, they appeared at Grey Cup Games, Parades, and a host of other places, including the Cascade Inn in Banff. Currently the Engineering Symonized Marching Band has been building on the foundations laid down by past engineering generations. This includes revamping their musical instrument collection to include new horns, such as the Frosh Horn and the Engimophone. They have been spotted at a number of events -- everything from alumni dinners, Bomber games, Bison sports and the occasional wedding. If you are interested in getting involved in the University of Manitoba BNAD, please stop by the UMES office, E2-292 and speak with the Spirit Directors or e-mail Spirit.